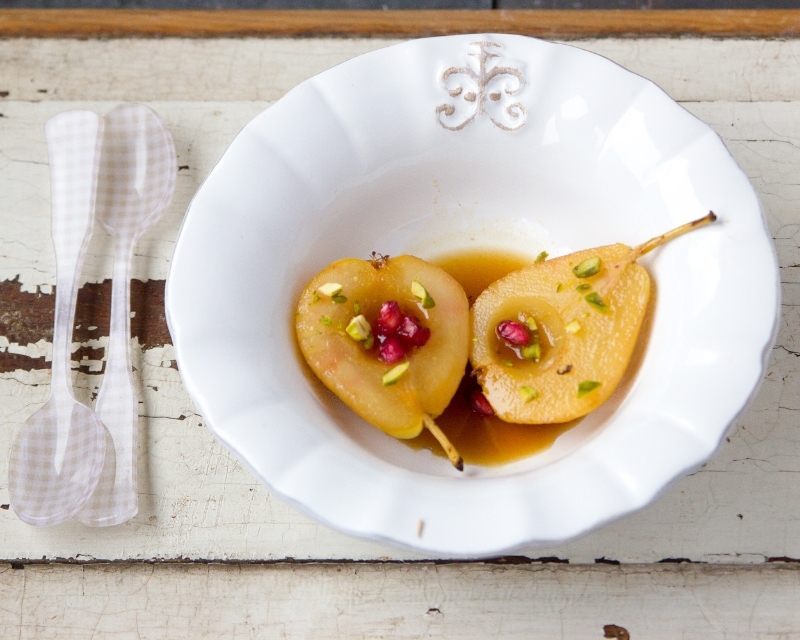 f you've never tasted an oven roasted pear, be prepared to fall in love. Delicately flavored with lemon, vanilla, and brown sugar, they taste heavenly, make an elegant last course, and are ridiculously simple to make. Select pears that are not overly ripe, or too hard. Any variety will do, but if you can find these miniature Forelle pears (often available at the grocery store), do give them a try. I love their petite size and sweet flavor.